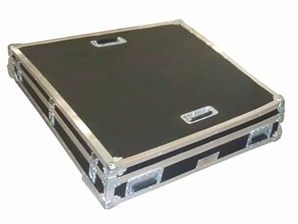 Black poly telescoping case with strap closures. Reinforced metal corners and edges. • 42" x 42" x 6".